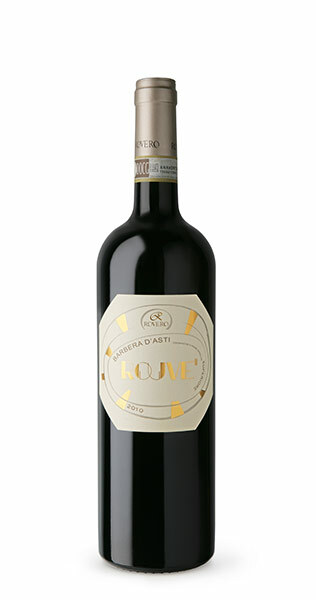 The ROUVE’, or Rovero in piedmontese dialect, comes from the hand harvested grapes, from a small, single vineyard of Barbera, known as “Vigneto Serra”, which dates back to 1967. The grapes are hand selected prior to crushing. Fermentation takes place in stainless steel tanks at 28 to 30°C, with a total steeping period of 21 days, giving extra concentration to this very special wine. The skins are gently pressed and malolactic fermentation takes place naturally 80% in tanks and 20% in barrels. The wine was blended and then aged. Rouvè is aged in new European oak barriques for a minimum period of 24 months. After bottling the wine rests in our cellars, waiting for the tannins to achieve the right ripening. Ageing Potential: 10 to 12 years. The wine shows an intense ruby colour with aromas of red fruits, like cherries and strawberries. On the palate the wine presents fruity flavours with soft tannins, good balance and a lingering finish.